Bucaneros de La Guaira (LPB) strengthened their roster with addition of 26-year old American power forward Latavius Williams (203-102kg-91, agency: BeoBasket). 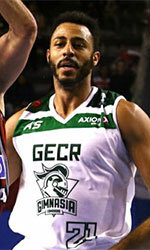 He has played for the last two years at Unics in Russian VTB league. In 24 VTB United League games he recorded 8.1ppg and 5.3rpg last season. 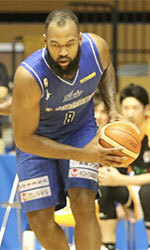 In 2009 Williams was drafted by Tulsa 66ers (D-League) in first round (16th overall). Among other achievements he played in the final of VTB United League in 2016. Williams received also Eurobasket.com All-VTB League Honorable Mention award in 2016. He is a very experienced player. Thanks to Williams' pro career he managed to play on three different continents (Europe, Latin America and of course North America) in six different countries. Williams has played previously professionally in Dominican Rep., Germany (Brose Baskets), Puerto Rico (Vaqueros), Spain (Joventut, Sevilla and RETAbet Bilbao Basket), Dominican Republic (Metros de Santiago) and D-League (Oklahoma City Blue). Very explosve attacking the basket Despite a lack of great bulk, shows a willingness to play physical and bang with bigger players inside Runs the floor well, good foot speed, a very fluid athlete who plays with boundless energy Owns a big wingspan. Plays much bigger than 6-8 An excellent rebounder. Shows some touch on his shot but needs to work on post moves and add range Shows some ability to face the basket and use the dribble, but won't be confused for a small forward. Lacks the ball handling, passing ability, and outside shot to play strictly on the perimeter .